californiaproduce – A Healthy Pinch. 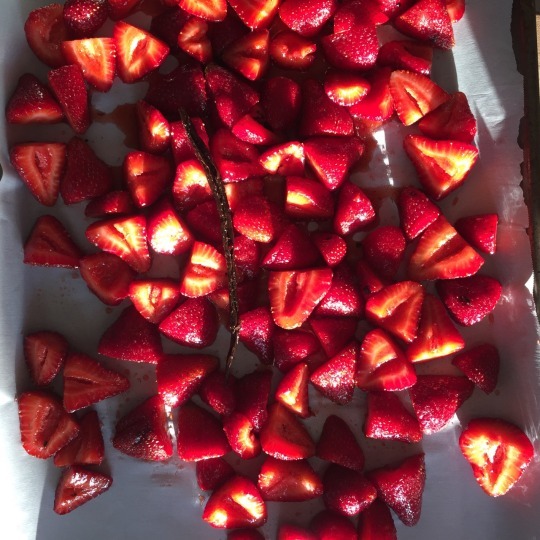 Summer in northern California provides an abundance of fresh, hand-picked strawberries that are found in these little stands dotted along the side of the road in areas near our house. Coming from central Illinois, where the most abundant crops were soybeans and corn, I couldn’t get over the fact that we instead have strawberry fields and the ability to purchase our fruit directly from the growers themselves. The bright juiciness of these strawberries can’t and won’t ever compare to those in found in the grocery store. Eating local never tasted so good!